A car, the wing of an aeroplane, a petrol pump and a canon are not unusual things in themselves, but when you find them in someone’s house it is quite alternative. If it’s the home of artist Willie Bester though, well then it’s all quite normal. Jade visits Willie’s family home, which is also his studio and art gallery. Here, he lives his belief that with art and with people, things unexpected and valuable can emerge from discarded objects otherwise seen as rubbish. His house is made up of found objects, which carry so much history in each piece. Recycled pieces throughout the house, from railway sleepers to antique road signs, help the house achieved a Gallery feeling, yet remains as welcoming as a home. A serious creative force who also takes the greatest joy in life, Willie Bester is a real South African original. 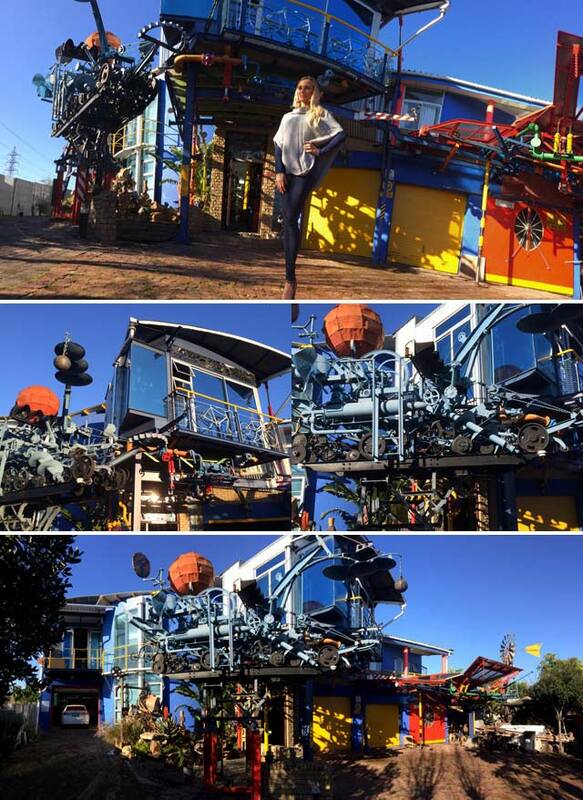 Don’t miss out on the most creative house on the block on Top Billing this Thursday at 7:30pm on SABC3.